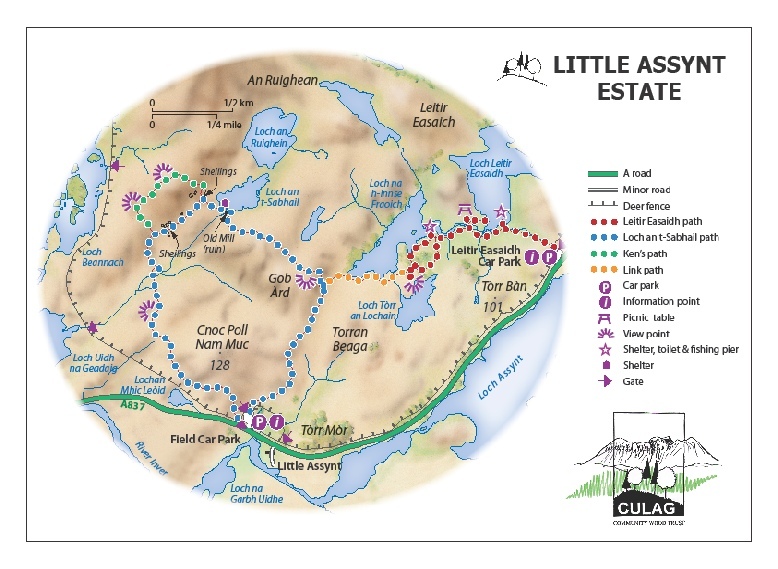 While CCWT encourages responsible access to all parts of Little Assynt, the provision made for that access varies in different parts of the estate. The obvious division is between the fenced and unfenced areas. Outwith the deer fence will remain a place of low intervention, without paths but offering excellent walking to those with a large scale map and the right equipment for changeable weather. Walking inside the deer fence is along surfaced paths. 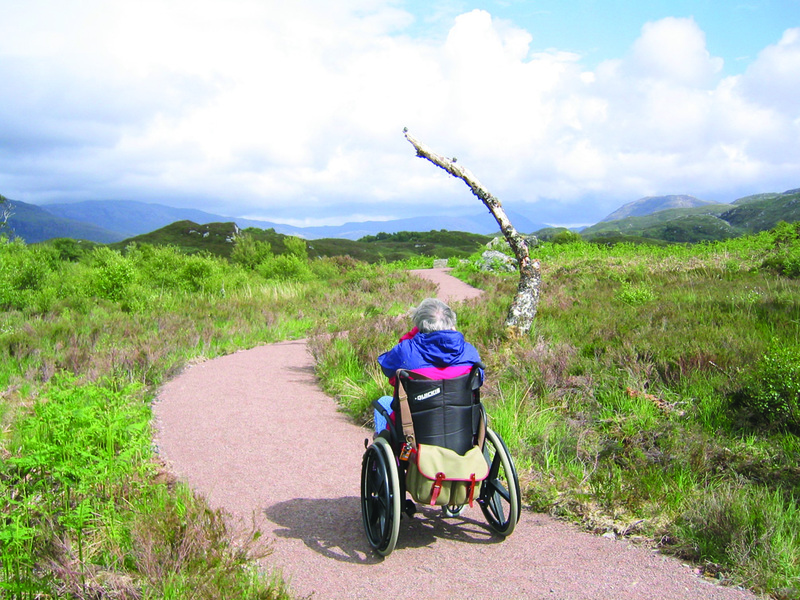 The Leitir Easaidh All Abilities Path is suitable for wheelchair users. It leads to adapted angling boats suitable for people with limited mobility. From the Assynt Field car park, you can access the Lochant-Sabhail or loop path. 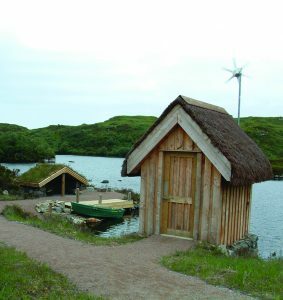 From the Leitir Easaidh, Little Assynt, car park you have direct access to the All Abilities path. Between the two paths is the link path making it possible to extend your walk if you would like to wander a wee bit further. The map below shows an overview of all paths, shelters, viewpoints and much more.